Stephen R. George is an author of horror fiction, fantastic thrillers and suspense. He writes under his own name and the pseudonyms Jack Ellis and Valerie Stephens. His first novel, Brain Child, was published in 1989, by Zebra Books. It was followed that same year by Beasts, then Dark Miracle. 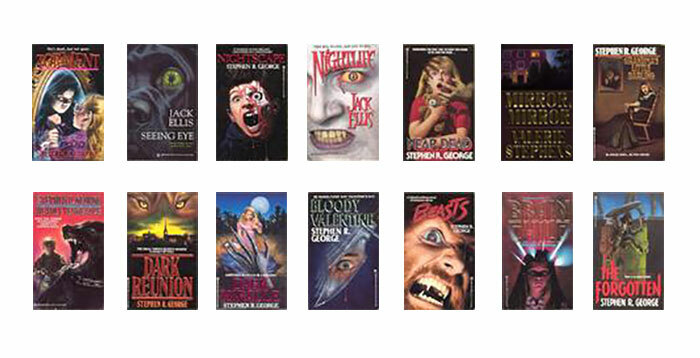 George quickly became a stalwart of the Zebra Books horror stable, writing and published a total of 14 books through the 1990s. His novels have been translated into Italian, Polish, Romanian, and Norwegian. His shorter works have appeared in a number of publications and anthologies including Cemetery Dance, the Hot Blood series, Deadbolt Magazine, Science Fiction Chronicle, Horror Library and more. 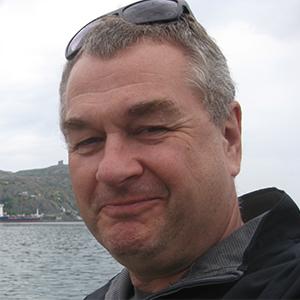 George was born in Scotland in 1959; he lives and works in Canada. Read the full Stephen R. George profile. Check out Stephen R. George Amazon Author Page. Visit the Stephen R. George page at Crossroad Press.